Just a short note to thank you for being such a great resource for quality applicants. Thank you for providing such great service. I applied for a position as Senior Software Developer through Dubaijobs.net. During the whole application and selection process, they took care of me and provided much useful information and feedback. Having dealt with recruitment consultancies in the industry for over 10 years, Dubaijobs.net is by far the best. Their personal attention and thoughtful matching of individual to company needs invariably creates an excellent match and ensures a win-win situation. I would like to say a big thank you for all your help and support in helping me with the issues I have had in the last few weeks I am very grateful..
"I write to compliment the team at DubaiJobs for both the service and advice received. The professional attitude and attention to detail impressed and made me feel in safe hands. I always felt I could get in touch which was very reassuring indeed." "I have recommended Dubaijobs to a number of colleagues as a firm you can trust and will be utilising your services again." I have greatly appreciated the professionalism, competence and courtesy you have shown to me and would like to take this opportunity of showing my appreciation." Dubai jobs has completely changed how I look at online Employment . I will refer everyone I know. It's exactly what I've been looking for. I would like to take this opportunity to thank Dubaijobs.net for your professional and patient service. We are very happy with the quality of applicants for this role and pleased to have filled this position. Marcello Asia selected DubaiJobs.net for the recruitment of key staff because Dubaijobs.net knows the upstream energy market and are known by the strategic professionals that we need to recruit in order to fulfil our business plan not only in the UK but globally. We worked unsuccessfully with several other recruiters to find staff for our UAE expansion. Then I found Dubaijobs.net. In short order, Dubaijobs.net identified a large pool of well-qualified candidates, and I wish I could hire them all! 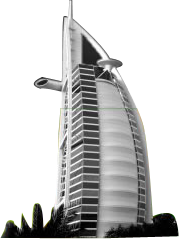 I would like to thank all the DubaiJobs.net team and I’m looking forward to a long relationship with them.